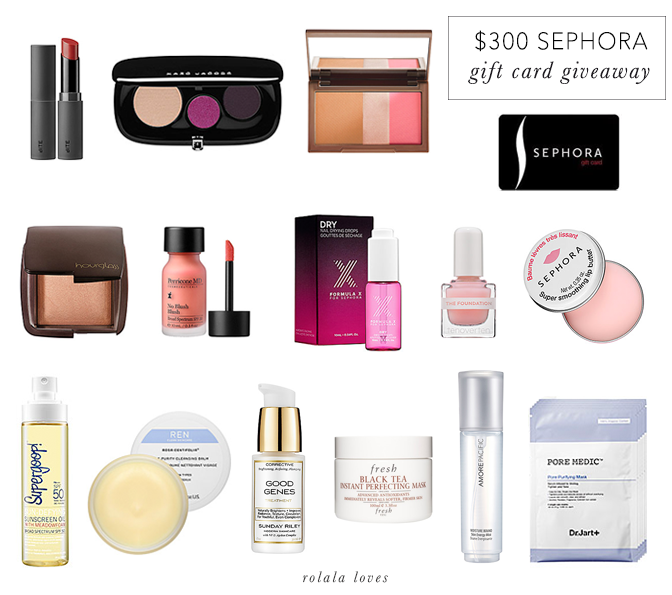 If you're also wishing for some things from Sephora, I have the perfect Sephora giveaway for you today. One lucky reader will have the chance to shop and stock up on their favorite beauty essentials with a $300 Sephora gift card... and it just might be you. You can enter daily over the next two weeks and earn bonus entries by sharing the giveaway with your friends on social media. 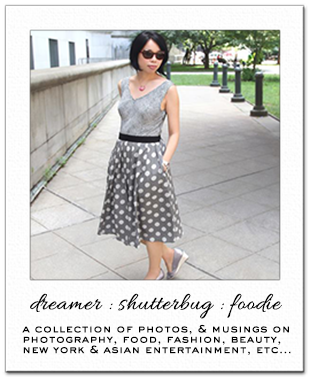 This is an international giveaway that ends on 8/26/14. Enter via Rafflecopter below. Good luck! This is the perfect giveaway, I've been eyeing way too many things at Sephora lately. Thank you! One of my favorite beauty tips is adding eye shadow primer just slightly underneath the eye which will help with any liner or other product stay put if used. So many pretty, pretty things from Sephora. Good luck to those who enter! Amazing giveaway! I love Sephora. Sugar and olive oil scrub! I also use olive oil and lemon juice for my nails as a soak( it moisturizes). My favourite beauty tip is that olive oil is a great hair mask. I've got my grandma to thank for that. Aww I'm so joining this giveaway, Rowena ^^ My favorite beauty tips, well probably more like skin care tips, is to steam and exfoliate the face every week :D Thanks for holding this giveaway! Great giveaway doll look at all the people that join. I have not shopped at Sephora for at least a year. I am sure i want everything in the store. Awesome giveaway, Rowena. Seems a good brand of cosmetics! lemon scrubs have been really helpful to me! i think some folks may think it may dry their skin out but i've found that mixed with olive oil and honey it's not bad! helps with acne scars too! Love anything organic and playing with essential oils! Wow my my head spin!! Yes! I need this desperately! I remember finding Sephora for the first time in Boston. I saw it from afar and thought, What is that? Then I was saying to myself OMG A cosmetic heaven is what it is! fabulous giveaway! I am a VIB member, of course! will have to enter this one!! Great giveaway... I love Sephora Stores!!!! Funny I was planning on heading to Sephora with my first paycheck to get Urban Decay's Naked Collection but maybe I won't have too! Great giveaway! and you get what you pay for! Sometimes a couple extra dollars spent is money well spent! that urban decay naked flush looks awesome! great items on your list rowena and excellent giveaway. Moisturizer and wear spf face lotion every day to keep your skin looking great. Beauty Tip: Staying hydrated is not only good for you but can help give your skin that boost it needs to look great! I don't know if my previous comment made it through but I will resay. My birthday is coming up and I would love to splurge on some new makeup! My favorite beauty tip is to let your natural beauty shine & enhance your best feature! !